Are you looking for incredible new doors that will offer amazing style as well as unbeatable functionality for your Ongar home? At Oakland Home Improvements, we are delighted to offer a beautiful range of uPVC doors, which we design with the very best security, thermal efficiency and durability while being an incredibly aesthetically pleasing addition to your Ongar property. Oakland Home Improvements has a uPVC door to suit any home where they are innately customisable, from the most traditional to the most contemporary style. We have been in business for 30 years, and our experience speaks for itself. We commit ourselves towards our customers and giving them the best products, at competitive prices with rapid and efficient installations. We are a family run business and are fully certified. We have developed a glistening reputation in Ongar and surrounding areas for quality home improvements, which is substantiated by our huge number of satisfied and loyal customers. If you require uPVC doors, Oakland Home Improvements is the place to go. We have written this handy guide to show you more information about our beautiful uPVC doors in Ongar and to tell you all about their benefits and features. With increasingly high fuel prices in Ongar and increasing concerns over how our carbon emissions are affecting the environment, there has never been a more critical time to invest in a thermally efficient door. Our uPVC doors make use of Eurocell’s innovative multi-chamber profile, which works as a thermal barrier to minimise your home’s heat loss and to prevent the ingress of cold air and draughts. Therefore your home stays warm and comfortable, no matter what the British winter throws your way. In retrospect, our uPVC doors can save you money on the running costs of your Ongar home. uPVC doors keep your home warm, so you will not rely on your central heating as much or as often, even during the coldest winter days. Almost immediately you will notice savings to your energy bill. 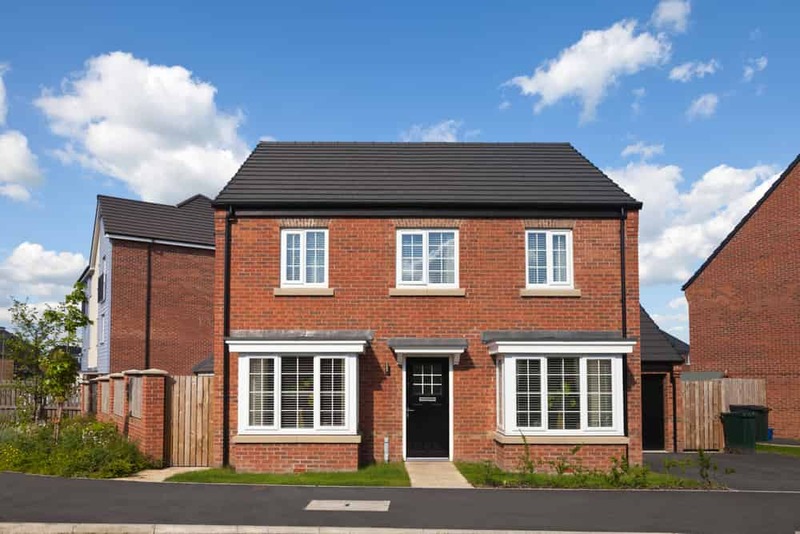 In addition to this, the uPVC profiles used in our doors are extremely widely recyclable, which means the manufacture of our uPVC doors is highly sustainable. You will reduce your carbon emissions and become much more eco-friendly. When purchasing a door for your Ongar home, the most important aspect to consider is security. Our uPVC doors are designed with the safety of your family and your home in mind. We use an internally reinforced Eurocell profile, which needs no additional steel reinforcements to perform extremely well under physical attack. We then augment our doors by fitting them with top of the range locking mechanisms and shootbolt locks. Your home will be impenetrable. At Oakland Home Improvements, we understand that your home is your sanctuary and as such we are dedicated to keeping it secure. We offer a range of colours as well as decorative and practical hardware to make sure that our doors can be customised to suit any home in Ongar. Our uPVC doors can be tailor made to match your previous fittings, which makes them ideal for absolutely any property. We have a range of decorative options, and also have a selection door styles at our disposal. 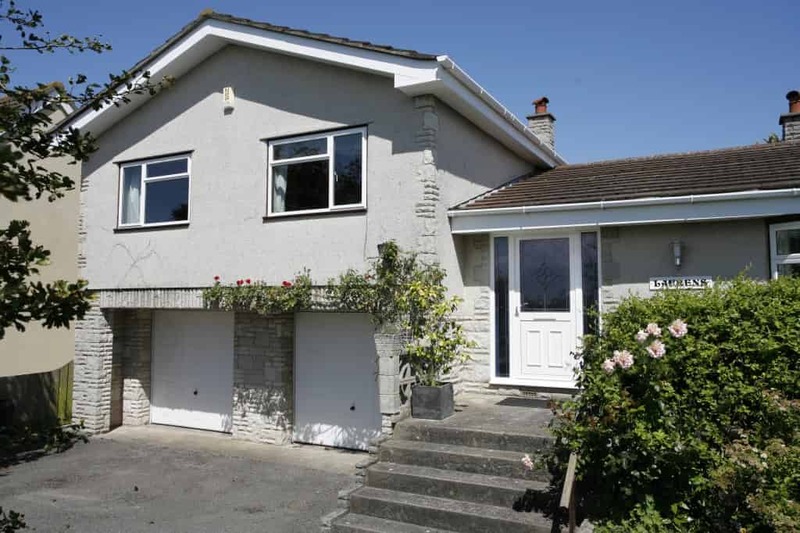 A high quality all-rounder, ideal for the front or back of your property. 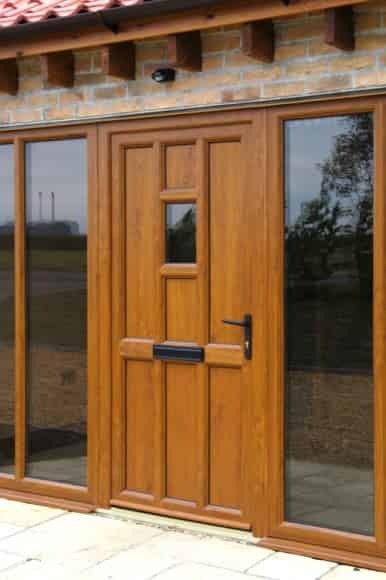 Highly thermally efficient and secure, this door will keep your home protected. The flying mullion on these doors means that, when they are opened, you are presented with a wide and unobstructed view of your garden. Ideal for those with less space to work with. These doors do not take up much room when open. This makes them an ideal way to make your garden more accessible for smaller properties. An increasingly popular style in Ongar, these luxury uPVC doors allow you to replace a full wall with glass. It creates an incredible illumination and a seamless transition between home and garden. if you would like to find out more about our beautiful uPVC doors in Ongar, or any of our range of products, please do not hesitate to contact our helpful and professional team. The Oakland Home Improvements team are highly experienced and are committed to answering your questions, discussing our products in depth and providing any additional information you need. On the other hand, if you would prefer a free and instant quote for our uPVC doors, please head over to our online quoting engine. We can provide you with a competitively priced quote within minutes and will tailor your quote to fit your specifications. 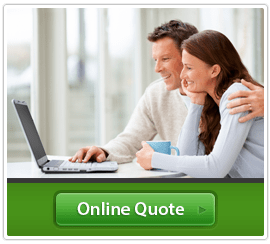 When you use our online quoting engine, Oakland Home Improvements will not place you under any obligation to buy. Are you in desperate need of new double glazing for your Ongar home? Would you prefer an honest and family run double glazing company to carry out your home improvements? Look no further than Oakland Home Improvements to find the perfect windows and doors for your Ongar home. Our double glazing is designed to offer you the very best in security, thermal efficiency and durability. We are a highly skilled and professional team that provides outstanding product ranges and installation services. With 30 years of experience in the double glazing industry, Oakland Home Improvements has developed a reputation in Ongar for high quality goods at competitive prices. Read on to find out more about our incredible range of double glazing in Ongar, and the features and benefits it will bring to your home. At Oakland Home Improvements we fabricate our double glazing using incredible Eurocell uPVC profiles, to provide amazing thermal performance for your Ongar home. A thermally efficient home carries with it several benefits. An incredible 10% to 20% of a home’s heat loss comes due to thermally inefficient windows and doors. Our double glazing is designed to trap warm air between the two glass panes while preventing cold air from getting into your Ongar home. Our double glazing is likely to save you a considerable amount of money long-term as while you are warm and comfortable with your new, energy efficient windows and doors, there is no need to rely as heavily on your home’s central heating system. Ultimately this means that you will begin to see significant savings on your energy bill almost immediately. A thermally efficient home is also a more eco-friendly home too, as while you will not be using your heating as often, your home’s carbon emissions will also start to decrease. In addition to this, uPVC is a widely recyclable material, which means that our practices are highly environmentally sustainable. At Oakland Home Improvements, our double glazing is as great for the environment as well as your wallet. When looking for perfect double glazing for your Ongar home, one of the key areas you must consider is security. We as a reputable home improvement company, consider it our responsibility to provide you with windows and doors that are capable of the highest standards of security. We use naturally sturdy uPVC profiles from Eurocell to ensure that your frames are appropriately resilient against physical attacks. Then we implement further security measures to ensure that your double glazing offers comprehensive home protection. We use internally beaded glass to make sure that a potential burglar will not be able to remove the glass from the outside. Seeing as this is a relatively common way for intruders to break into a home, our internal beading acts as a great deterrent. We then fit our products with incredible hook-shaped locks, which we embed into the frames of our windows and doors. Locking systems are encased inside the uPVC making it incredibly difficult for a burglar to tamper with them as they are unreachable when the door or window is shut. We pride ourselves on offering double glazing that is innately low maintenance. To keep your frames looking and performing at their best, all we recommend is washing them down occasionally with warm soapy water. Your new uPVC windows and doors will be completely scratch proof and will never require painting. If you would like a free and instant quote for our double glazing, with no obligation to buy, please use our online quoting engine. Requesting your quote couldn’t be easier, and we will have it ready for you within minutes. Get your bespoke, competitively priced quote with Oakland today! On the other hand, if you would like to get in touch with one of our friendly and helpful team, please use our online contact form. Our team will be on hand to answer your queries, discuss your home improvements and provide you with any information you may need about our range of products. At Oakland we are even able to talk you through the whole installation process and provide you with estimated times of completion. Creating additional living space in your Ongar home is so easy with our stunning conservatories. These beautiful glass extensions will enhance the character of your home as well as provide a practical extra room. We can even refurbish your current conservatory, bringing it up to date with the very latest performance levels and making it feel as good as new. 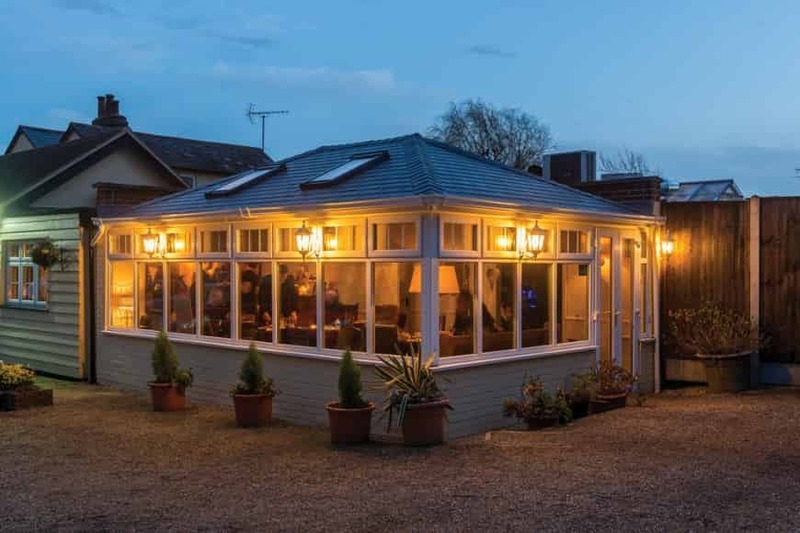 Here at Oaklands Home Improvements, we offer a wide range of conservatories to our Ongar customers, ensuring that every client can achieve the perfect home improvements to meet their every requirement. Our guide is here to help you find the perfect option for your home improvements in Ongar. 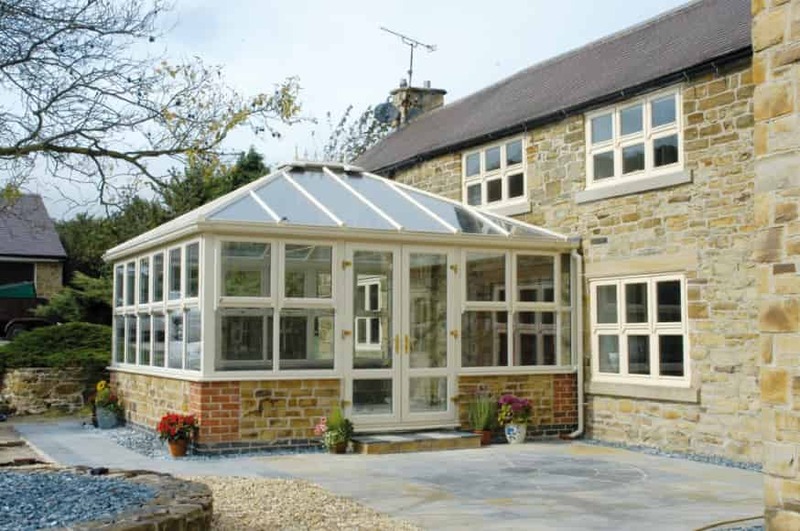 Conservatories of the past can be inefficient and weak, forcing you to replace them, however, with Oaklands Home Improvements, you can opt for a refurbishment. Our conservatory refurbishment option enables you to keep the conservatory you love, but improve its specifications in performance and technology. 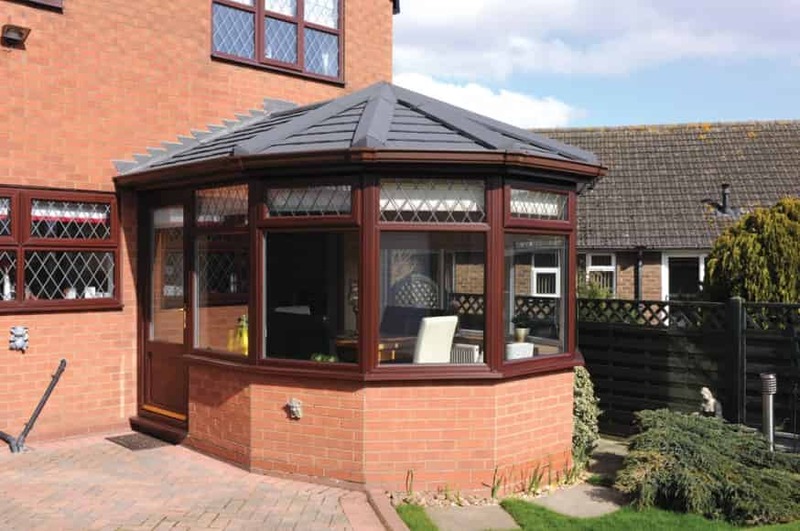 With our high performance insulated warm roof conversion system, your conservatory can become a practical space for you to use all year round. 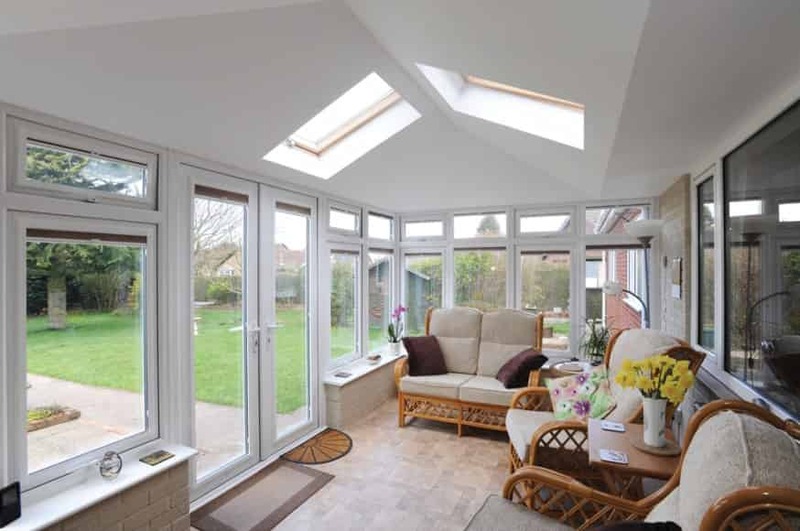 There will be no more leaks or draughts, and your conservatory will be cool in the summer and warm in the winter. Our service includes a structural assessment too, making sure that your conservatory is safe and secure. Our conservatories are exceptional, offering homeowners in Ongar a range of options to ensure they can enjoy a functional, yet stylish living space. We work with the very best materials and products to ensure your new conservatory can be used whatever the weather, and that it is secure against potential intruders. Choosing a conservatory can be a challenge, as there are so many styles available, but here at Oaklands Home Improvements, we enable you to select the perfect match for your home. All products are designed to make the most of the space you have and are tailored to your needs, so take a look at our summaries below to find inspiration for your Ongar home improvements. 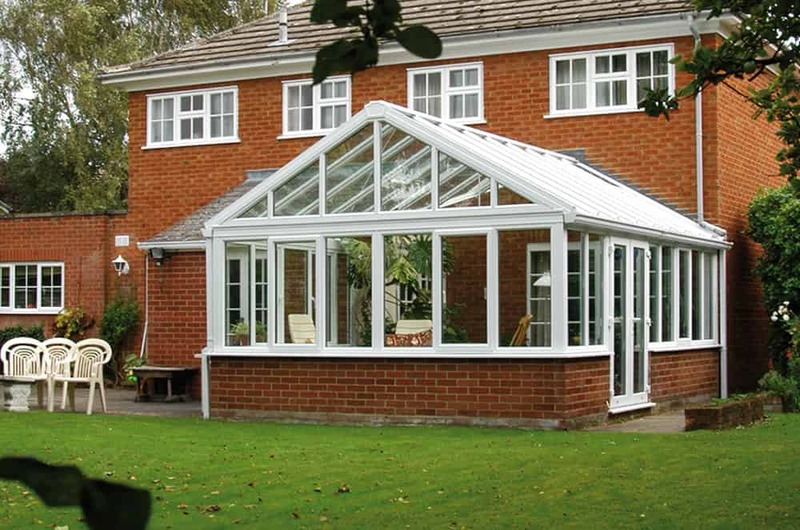 Inspired by the Victorian era, these conservatories are one of the most popular options in Ongar. They have a lovely space created through a three or five faceted design. This provides you with clear views of your garden and creates a lovely space where you can relax and rejuvenate. These conservatories will complement the architecture of almost any home, and they have an exquisite, detailed finish to ensure exceptional beauty. Our Edwardian conservatories are the ideal choice for when you are looking for a room that is a true extension for your property. These make wonderful dining rooms, living areas, offices and playrooms, and for any function that requires maximum floor space. They have a square or rectangular shape, which is enhanced by the minimalist and elegant finish. They are the perfect option for blending in with contemporary properties, or with classical homes, as they are unobtrusive and subtle. If you want to create a stunning feature in your garden that truly makes a visual impact, then our gable conservatories make a brilliant choice. They have the structure of the Edwardian conservatory, making them a practical space, but instead of the traditional Edwardian minimalist roof, they have a spectacular gable roof, which reflects the end of a house. This amazing design will create a simply stunning conservatory, that is flooded with natural light and feels spacious and airy. Our gable conservatories are the ideal solution for homes where space is no issue. 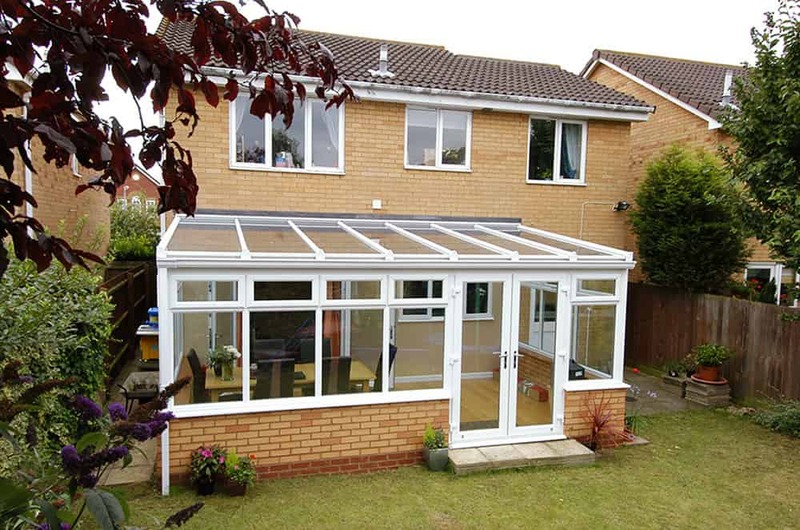 One very effective sort of conservatory we offer is the lean-to conservatory. These clever designs are perfect for properties with low eaves, or narrow spaces. You can create a utility room alongside your kitchen, or a dining area attached to your home. 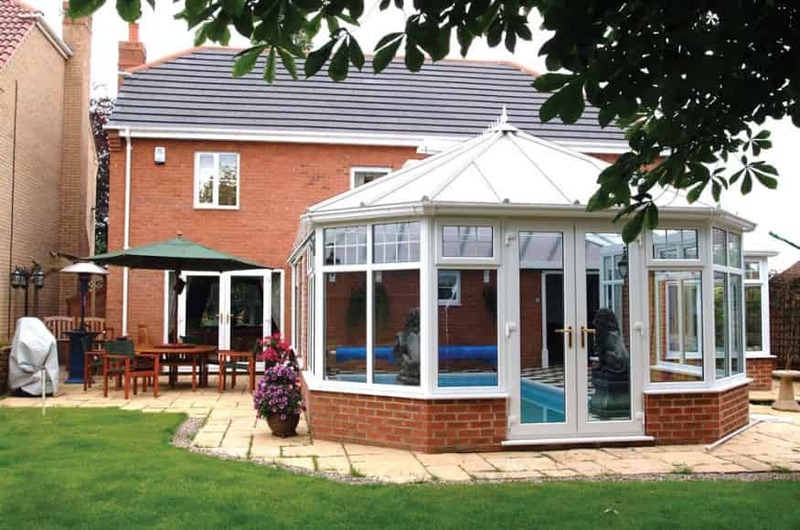 With lean-to conservatories, the possibilities are endless. They are very versatile, able to make the most of almost any space and can be used for almost any function. When you have a particularly awkward space, a large area to fill, or you simply want to combine elements of other conservatory designs, then our bespoke conservatories are the best choice. These are designed specifically for you, ensuring that your every requirement is accommodated to, so that you get the perfect match for your home and your needs. It might just be that one of our standard conservatories would not be appropriate for you and your home. Fear not, because our orangeries attend to this, with their brickwork structure blending in with the main house. Whether your property is contemporary or period, there are plenty of designs to match this. They make perfect socialising space for you and your guests, and with its floor to ceiling windows, allow the light in to offer a fascinating space for any activity. Conservatories in Ongar come in a range of prices, based on your specifications. Visit our online quoting engine to discover the costs for your home improvements. You can also get in touch with our friendly team who can help you with the initial design and provide you with a tailored price. uPVC Windows in Ongar can really transform your home, offering an incredible aesthetic as well as improved performance. Old and tired double glazing can look dated and worn, detracting from the beauty of your property. It can also become brittle and weak, splitting easily and opening up your home to the elements. It also and offers easy access to potential intruders. When you come to Oakland Home Improvements for new uPVC windows, you will benefit from the very latest advances in double glazing technology, making sure your home reaches its full potential. Our stunning windows will give your Ongar property a fresh and appealing appearance, making the most of the architecture and enhancing its character. Read on to find out more in our guide to uPVC windows in Ongar. 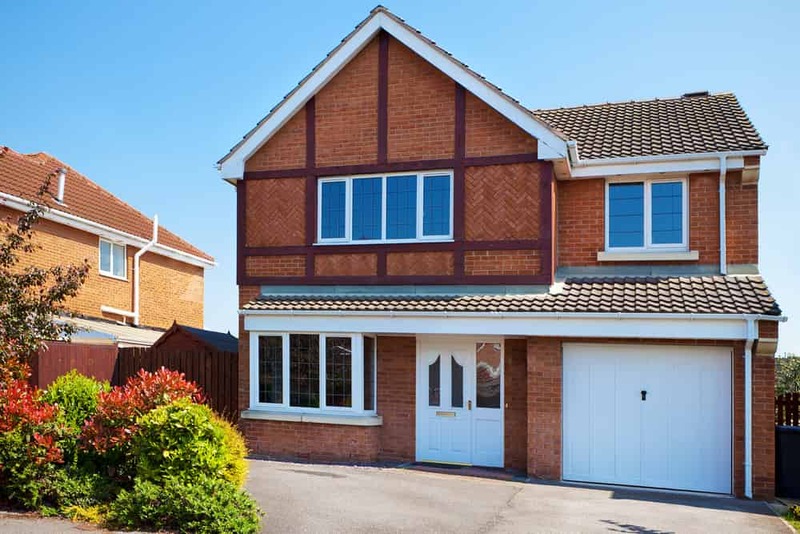 Any opening in your property needs to offer the very best security, and with our uPVC windows, there are a range of options to meet your requirements. When you choose your uPVC windows, we will offer a range of locking options, so that you can opt for your perfect match. Our standard locks are superb, offering comprehensive protection, however, we also offer a variety of upgrades to really make your windows excel. With our windows in Ongar, you can be completely confident that your home and family are truly safe and secure. Current Building Regulations specify that your double glazing must achieve a minimum Windows Energy Rating to meet with energy efficiency standards. New uPVC windows from Oakland Home Improvements surpass this expectation, providing your home with superior thermal performance. They come with a multi-chambered profile which creates a thermal barrier, blocking out the cold. If you want to further the energy efficiency offered, then you can enhance your new uPVC windows with our optional thermal inserts. Our windows will help to lower the living costs of your Ongar home as you will be using less heating, and so saving money on energy bills. Oakland Home Improvements understand how important it is that traditional aesthetics are enhanced with authentic design, so when you choose uPVC windows from us, we offer a number of options to create a heritage appearance. Our windows can be tailored with a number of tasteful and classical colour finishes, giving you the opportunity to blend your double glazing in with your property. In addition to this, you can choose from our replica hardware options and accessories, ideal for creating a period look. With uPVC windows, your Ongar home will look just as it should, as we even offer the option of Georgian bars to complete the most natural replica aesthetic. Our windows come in a variety of styles to make the most of your property’s architecture and complement its appearance. See our summaries below for inspiration when it comes to choosing your home improvements. These beautiful windows have stunning slim profiles, which can be minimalist and simple for a modern look, or decorative with Georgian bars and traditional styling for heritage homes. This classical design has been around for hundreds of years, yet, it still looks as fresh today as it ever has, and is versatile, complementing any property type. For true traditional charm, our uPVC sliding sash windows are the ideal replacement windows for your Ongar home. These simply stunning windows feature all the elements of this traditional 19th Century design, yet are brought into the 21st Century with the very latest technology, ensuring smooth, long term performance. 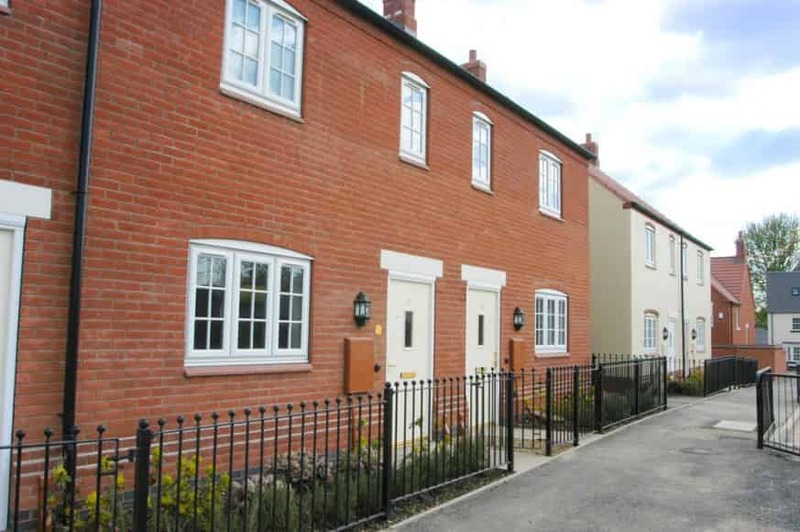 Highly popular across Ongar, these uPVC windows will add so much character to your home. Modern innovation has excelled itself with the design of our uPVC tilt and turn windows. These superb windows have a stylish, and streamlined appearance which creates a beautiful contemporary aesthetic. They are exceptionally functional too, enabling you to have easy access to the outer pane for maintenance as well as a safe exit in case of an emergency. Once locked in the tilt position, you will benefit from ventilation without any need to worry for your children and pets. Our uPVC windows prices are completely tailored to you and your Ongar home, making sure that you can find the perfect combination of style, performance and options to meet your requirements and your budget. Access a personalised quote with our efficient online windows designer or contact us for more information on our uPVC windows in Ongar. When you want to replace your double glazed windows in Essex, you need to have access to plenty of choice to ensure that your property achieves its full potential. There are so many options available when you choose Oakland for your Essex home improvements, you are sure to find the ideal style and material to complement your home. Our double glazed windows are exceptional, so we have written this handy guide to windows in Essex to help you discover the superb options available for your home improvements. Read on to find out more! uPVC windows are a fantastic choice for cost effective double glazing in Essex. They are superb for energy efficiency, and the windows that we offer at Oakland are in fact exceptional for thermal performance, as they come with excellent Windows Energy Ratings. You can even opt for superior energy efficiency, by opting for our thermal inserts. Whether you stay with the standard performance or opt for the enhancements, you can be sure that your home will be warm and cosy no matter how cold it is outside. When it comes to security, our uPVC windows are fantastic, protecting your home against even the most determined potential intruders. They come with a range of innovative security features and high performance locking systems, which can even be upgraded if you wish. 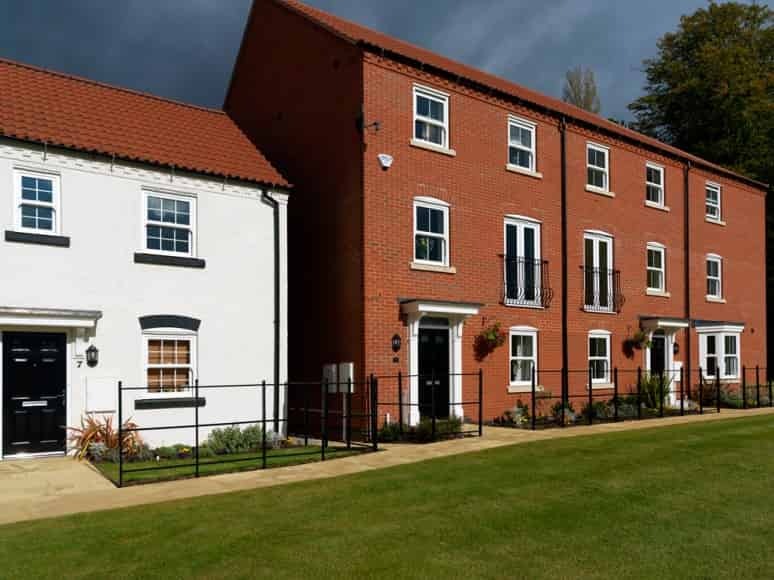 Simple and elegant, uPVC casement windows are ideal for any home in Essex, as they can be adapted to blend in with any aged property. Casement windows are versatile and functional, offering a lovely finish to your home improvements. Our stunning sliding sash windows are a brilliant option for when period features are a primary consideration for your double glazing. These wonderful double glazed windows have the looks of the 19th Century combined with the technology of the modern day. For ultimate practicality combined with a clean and fresh design, our tilt and turn windows are a brilliant choice. Ideal for hard to access areas, these windows provide incredible safety and functionality that no other option can match. Our aluminium windows are manufactured by the industry leading specialists Smarts. This ensures that when you opt for these incredible windows, you will benefit from the very best there is available in performance and style. Our aluminium windows are unsurpassed when it comes to security, being constructed from high grade aluminium, they are almost impossible to break, and this is coupled with state of the art locks and security features to keep your home and family safe. They have a superbly energy efficient construction that uses the latest innovations in double glazed window design to ensure that your home is kept warm no matter how bitter the winter gets. In addition to all this, aluminium windows are the most fantastic choice for tailored options. You can choose from an extensive variety of colour finishes, that offers almost every colour imaginable for your new double glazed windows, ideal for reflecting your personality and enhancing the style of your Essex home. For the most authentic traditional double glazed windows, our wooden windows are superb. Bespoke to you, each window is hand finished by local joiners to ensure it achieves the very highest standards. Our quality timber windows are much sought after, as they are high performance, able to achieve impressive energy efficiency standards as well as being fantastically secure. As with all our double glazed windows, they are fitted with the high security locking systems to ensure complete home protection. The timber frames are superb for insulation, keeping your home warm. With our timber double glazed windows, you will benefit from style that is completely tailored to you. Every detail is considered and designed to your specifications, making these premium windows the very best option to complement your property and your enhance its character. We are here to help you find the perfect double glazed windows for your Essex home improvements. Our experts are on hand to answer any questions that you may have and to give you advice and guidance on the best windows for your home. Get in touch and see how Oakland can enhance your Essexproperty with replacement double glazed windows. Whether you are looking for a front door, back door or even sliding door, double glazed doors are a great way of upgrading your Essex home. They offer enhanced performance and incredible style, ensuring your home achieves its full potential. With Oakland Double Glazing, you can expect quality installations that meet the highest standards. Our double glazed doors are exceptional and will truly offer you long term value for money, making them a great investment. We offer such an impressive range of double glazed doors, we thought we would give you a brief overview of their features and benefits so that you can find inspiration for your Essex home improvements. Read on to find out more! We’re going to start with our composite doors, as they are a great choice for front doors in Essex. With composite doors, you can achieve the style and beauty of timber, as these doors are authentic replicas, yet you will still benefit from all the innovation and technology of uPVC. These double glazed doors are superb for insulation, keeping out the cold and at the same time, sound proofing your home. 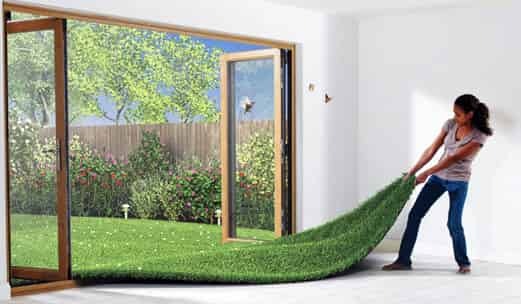 They will help you to keep your property warmer, ensuring heat loss is minimised, meaning that these doors are brilliant for creating a cozy, comfortable and relaxing home. When it comes to security, our composite doors are a wonderful choice. Fitted with state of the art locking systems, these impressive doors are inherently strong too, thanks to the solid core covered with a robust and durable outer skin. In fact, our composite doors are even Secured by Design accredited, so you can be sure they meet the highest security standards. 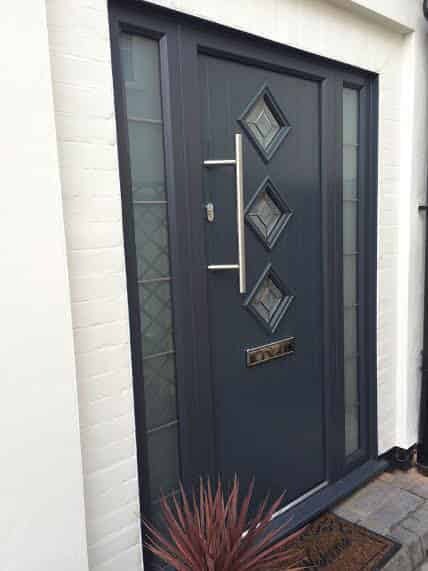 Composite doors come in a range of panel designs and can be enhanced with colour finishes, decorative glazing and hardware and security to create a truly personalised double glazed door for your Essex home. One of the most popular double glazed doors materials is uPVC. Our uPVC doors from Eurocell are great all round performers and have a wide range of styles enabling you to replace any door in your Essex home. uPVC doors are uniquely tailored to you. Our front doors and back doors come in a range of panel designs and the entire range can be tailored to your tastes with colour and woodgrain finishes, ideal for matching them up to our uPVC windows. You can choose from a range of glazing options, as well as door furniture to complete the look of your double glazed doors. We fit our uPVC doors with the very latest locking systems for superior security, and they are all precision engineered using the latest innovations in door design to maximise the home protection they offer. Where our uPVC doors truly excel is in the thermal performance. They are fabricated with triple weather seals, blocking out cold spots and draughts and the very latest technology is used in the manufacture of the frames and the glazing ensuring it will work to keep your home warm. No collection of double glazed doors is complete without a range of aluminium doors. Our range of stunning doors include residential doors, French doors, patio doors and bi-fold doors, ensuring that you can experience the beauty and performance aluminium offers anywhere in your Braintree home. We work with Smart Architectural Aluminium so that we can install aluminium double glazed doors throughout Essex that are manufactured to the highest standards and feature the very latest innovations in double glazed doors technology. This means that your doors are impressively energy efficient and completely weather proof, protecting your home from the elements. In addition to this, they offer unparalleled security, particularly as aluminium is a naturally strong material that makes almost indestructible profiles. We fit our high security locks to these doors as standard too. You can be confident that your home and family will be completely protected with our aluminium doors. Aluminium, being so strong, enables our double glazed doors to be crafted from super slim profiles, adding to their stylish aesthetics, but what makes them special, is the extensive range of colour finishes available. Whatever colour you can think of, we are sure to have a shade to match. Our overview of our double glazed doors in Essex has been brief, so if you would like to know more about these impressive doors, please do get in touch with our team. We will happily provide expert advice and guidance to help you find the right double glazed doors for your Essex home improvements. uPVC Doors make spectacular Essex home improvements as they offer incredible style and performance to enhance your property. No matter where in your home you need a uPVC door, you can achieve a stylish and beautiful entrance to enjoy year after year. With uPVC doors, you get an extensive variety of options that are sure to meet your needs, and when you choose Oaklands Home Improvements, each one is crafted to the highest standards and installed with superb quality by our expert team. Our uPVC doors offer the very best of everything when it comes to efficiency, weather protection and security, so your Essex home will be performing to the most impressive levels. Read our guide to uPVC doors in Essex and find the perfect match for your home. Our uPVC doors offer fantastic energy efficiency for your Essex home. We work with Eurocell, the highly regarded double glazing manufacturer, to provide uPVC doors that achieve outstanding thermal performance. When you opt for our uPVC doors, you will get the benefit of energy efficient glazing and completely draught and leak proof door designs, ensuring that your Essex home is protected from the cold and winter weather. You will benefit from a warmer home that will require less heating to maintain a comfortable temperature, which will in turn save you money on your energy bills, which makes our uPVC doors a fantastically cost effective home improvement. Any entrance to your Essex home needs to be secure and to protect you against unwanted visitors. Our uPVC doors are a brilliant option as they are superbly strong and robust, making sure that even the most determined intruders can’t break through. We also fit our uPVC doors with high security locking systems so that you can count on superior protection. Our uPVC doors are specifically engineered to ensure that you and your family are safe and secure in your Essex home. 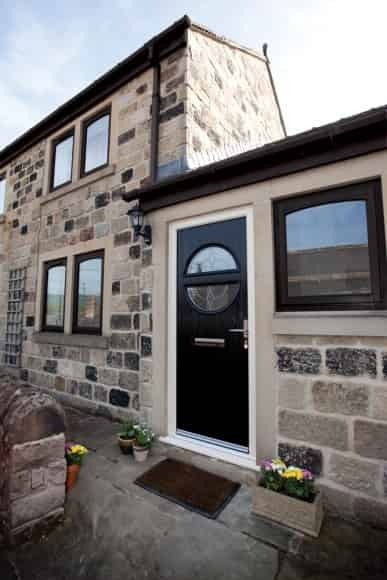 With our uPVC doors, you can create a completely unique look that will enhance your home’s character. 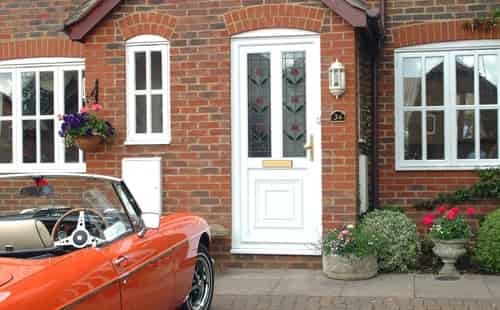 Essex homes come in a variety of styles and types themselves, so we think it’s important that our customers have access to a variety of uPVC doors that will complement your property. Our uPVC doors can be tailored with a range of tasteful colours and woodgrain foils, as well as distinctive decorative glazing to create an aesthetic that is as individual as you are. Your new uPVC doors can be completed with our hardware options and accessories so that when your door is installed, it is exactly as you imagined it. We’ve summarised our uPVC door styles below to give you inspiration for your Essex home improvements. Ideal for either front doors or back doors, our panel doors come in a variety of designs to suit your home and your tastes. Whether your property is modern or traditional, we have a style to match. Our elegant uPVC French doors will create a stunning entrance to your garden or balcony that you can enjoy all year round. Create a bright and airy room with this stunning and versatile doors. Our uPVC patio doors take the best bits of traditional sliding doors and combine them with the latest technology so that you get a state of the art patio door which offers superb beauty and sophistication. 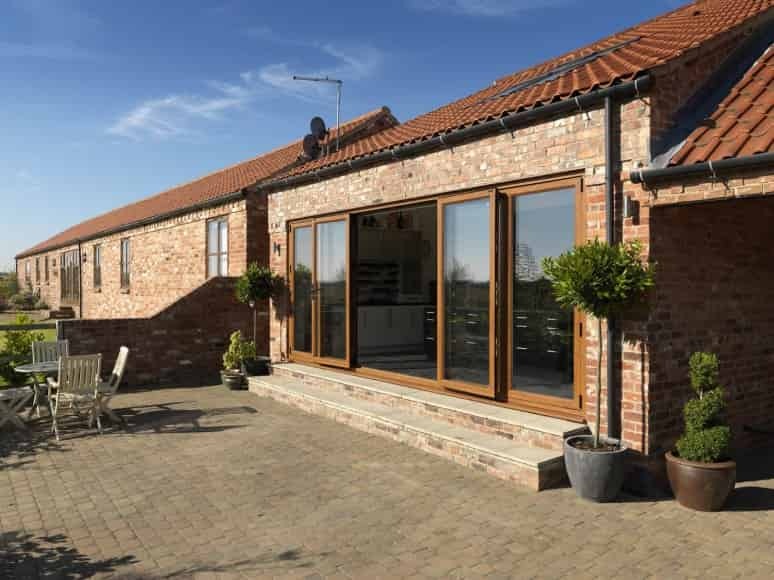 The latest development in double glazing, uPVC bi-fold doors are a superb choice for any Essex home, providing a spectacular feature entrance to your outside space. Our uPVC doors are simply amazing and we know that they meet the highest quality standards, so you can expect the very best from Oaklands Home Improvements. This includes our customer service too, as we are here to help you with your Essex home improvements. Why not get in touch ? Our friendly team will give you expert advice and guidance to help you find the perfect uPVC doors for your Essex home. We also have an easy to use online door designer where you can create your dream uPVC doors from the ground up and get an instant quote to see how much they cost too. uPVC windows make perfect Essex home improvements. They not only enhance the beauty of your property, but they are also fantastic for providing improved performance. Are your uPVC windows tired and dated? 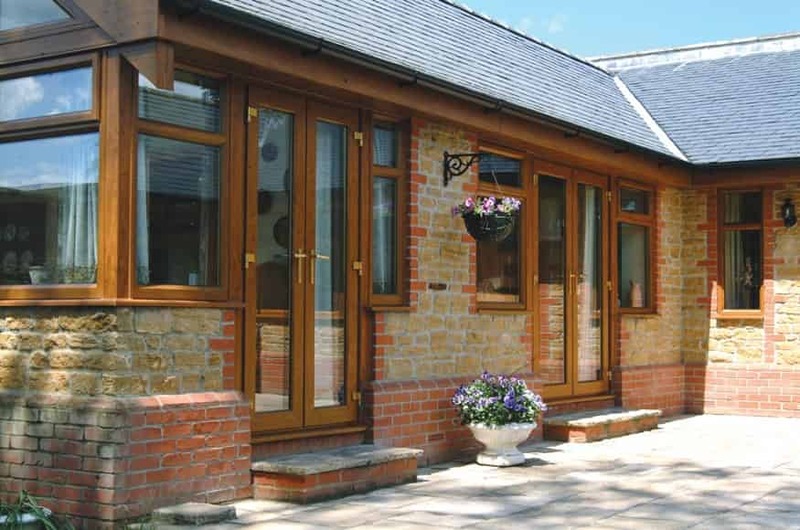 Do you have inefficient timber windows? New uPVC windows could be the best option for upgrading your home, making it look better, more efficient and providing superb security. Here at Oakland Home Improvements, we install stunning, high performance uPVC windows throughout Essex. Our installation team are superbly experienced, ensuring that your windows are fitted to the highest standards. In addition to this, our customer service is second to none, as ensuring our customers are happy is our priority. Our blog is here to tell you about the features and benefits of new uPVC windows for your Essex home, so read on to see what we can offer you! One of the major benefits of uPVC windows is that they provide your Surrey home with long term value for money. Our uPVC windows are incredibly energy efficient, which ensures your home stays warm on even the coldest of days. With uPVC windows from Oakland Home Improvements, you will experience a warmer home and heating that lasts longer, which means you will need to use less heating to maintain a comfortable environment. Of course, this will result in your energy bills being lowered. Security is a vital consideration when choosing any home improvements in Essex. With our uPVC windows, you can be confident that your home is fully protected. Our uPVC windows are internally beaded which means that the glazing cannot be removed from the outside. This makes entry for potential intruders almost impossible, keeping you and your family safe. In addition to this, our uPVC windows are fitted with specifically designed locks, such as our hook locks, which creates a window that is impressively secure. These locks work to stop the windows being opened from the outside so you get great home protection. With uPVC windows from Oakland Home Improvements, your Essex property and family will be fully protected. Our uPVC windows are a highly durable option for your Essex home. They are crafted from the finest uPVC to ensure they offer long term service, and the mechanics of our windows are manufactured to be robust. Your new uPVC windows will provide your home with many years of operation with only the most simple maintenance. All you will ever need to do is keep them clean to ensure they look and perform to their best ability. uPVC windows are available in a range of styles, and we offer a selection that has been chosen to perfectly complement Essex homes. Our uPVC windows can be tailored to suit your property with a range of finishes as well as accessories, such as Georgian bars. You will be able to create the perfect design to enhance the beauty of your Essex property and make it truly your own. Ideal for any style of Essex home, uPVC casement windows are timeless and sophisticated. They have a stylish yet minimalist aesthetic that makes them incredibly sought after and enables them to suit all types of property. Our stunning uPVC sliding sash windows are a beautiful option to enhance the character and charm of period homes, or even create a traditional appearance for modern properties. They are an authentic choice based on 19th Century design, yet they offer all the benefits of modern technology and innovation for your Essex home. For practicality and function, our uPVC tilt and turn windows are second to none. They provide safe ventilation, easy access for maintenance and can even act as an emergency exit. 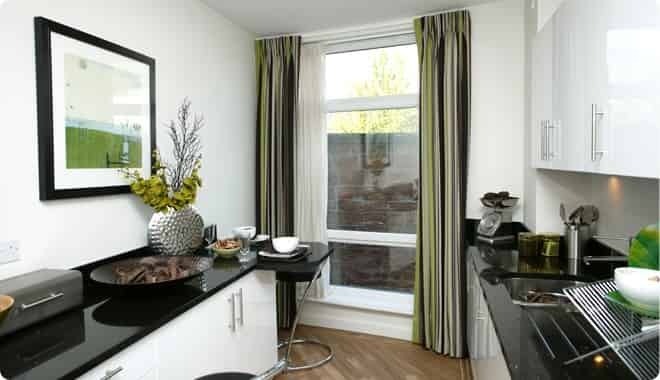 All this comes with a lovely style that provides superb views and exceptional simplicity for your Essex home. Ready for New uPVC Windows in Essex? Our uPVC windows are exceptional, and they come with Oakland Home Improvements’ personal and highly regarded customer service. You can find out more about any of our uPVC windows in Essex from our friendly team. We are here to help you find the right match for your Essex home improvements, so please do get in touch. If you are fairly certain of which uPVC windows will be right for you, we have an online window designer where you can pick and choose from the options available to create uPVC windows that perfectly meet your needs. Our system will then provide you with a unique price for your Essex uPVC windows. Double glazed doors make a great home improvement for your Chelmsford home, and with Oakland Home Improvements, you get a wealth of choice. Whatever style of home you have, our amazing double glazed doors will create the perfect entrance. We offer sliding doors, French doors, front doors and back doors, so there is no area of your home that we can’t enhance with a new double glazed door. Our range offers exceptional quality and stunning design features, enabling you to achieve a beautiful, long term look. Our double glazed doors don’t just look great, they are also high performance. Read on to find out all the features and benefits that you can expect when you choose a double glazed door for your Chelmsford home from Oakland. Double glazed doors come in a variety of materials, and our uPVC doors are one of the most popular options we offer in Chelmsford. uPVC doors are incredibly stylish and are a beautiful home improvement. They provide superb energy efficiency, keeping your home warm and cosy no matter how cold it is outside. The innovative design offers exceptional thermal performance, protecting your home from the cold and trapping warm air within. These double glazed doors offer such amazing energy efficiency that you could find you need less heating to stay warm, which will lower your energy bills! uPVC doors are great for security for your Chelmsford home. The uPVC profiles are reinforced for added strength and all our uPVC doors come with high security locks as standard, making them fantastic for home protection. Not only do we offer a range of uPVC door styles, but each one can also be tailored with lovely colours and authentic woodgrain foils so that you get the perfect appearance that reflects your tastes and complements your home. Whether your Chelmsford home is modern or period, we have a uPVC door to suit it. Our uPVC panel doors come in a wide range of designs making them a great choice for any type of Chelmsford home. uPVC French doors are an elegant double glazed door choice, providing sophisticated style and easy outdoors access for your home. Offering traditional style, our stunning uPVC patio doors are bang up to date, incorporating all the latest innovations in double glazing. Folding doors are a popular choice due to the incredible visual impact they make and the super easy access they offer to your garden. If you want a double glazed door that is truly sturdy and robust, yet has unrivalled beauty, then composite doors are the right choice for you. The intelligent construction of our composite doors by Phoenix Doors makes them fantastically insulating, maximising the thermal performance of your home. Composite doors are designed to be impenetrable, both to intruders and the elements, so you can count on your Chelmsford home being completely protected. Each composite door in our range is virtually impossible to break into and there are no leaks or draughts. With composite doors, your Chelmsford home will benefit from all the authentic style and appearance of timber, yet it has all the innovations and cutting edge technology of uPVC. Composite doors give your Chelmsford home the best of both worlds. We work with market leaders Smart Architectural Aluminium to provide the most outstanding aluminium doors to our Chelmsford customers. Our aluminium doors are exceptional. They have style and grace thanks to the super slim profiles, which are also unbelievably robust. Aluminium is one of the strongest materials available in double glazing and is impossible to break, which ensures fantastic home security. Smart aluminium doors are innovative and they offer brilliant thermal performance. Unlike traditional aluminium doors, a double glazed door from our range will enhance the energy efficiency of your home rather than detract from it. Perfect for keeping you cosy all winter long. Our aluminium patio doors provide superb views and exceptional security. 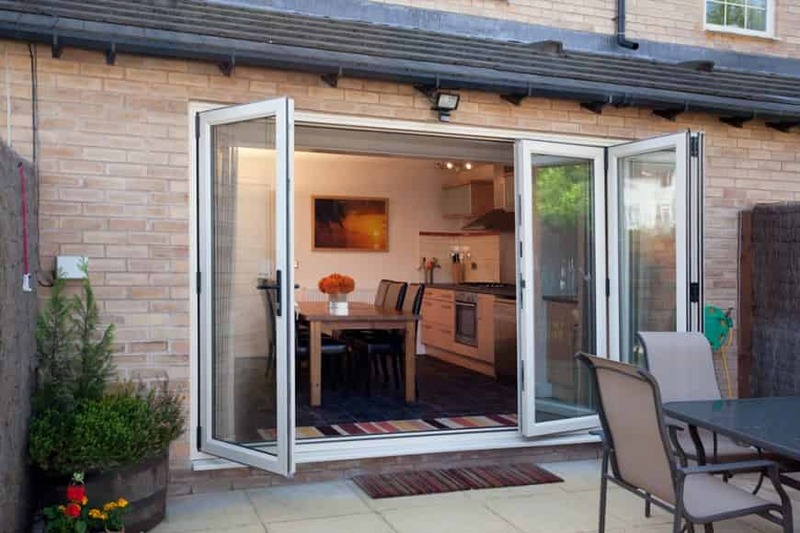 Aluminium bi-fold doors are simply stunning and will enhance your home with an eye-catching feature. When you choose aluminium French doors, you will benefit from a contemporary edition of a classic style. Our aluminium residential doors come in a massive range of styles and designs, giving you so much choice! We would love to chat to you about your new double glazed doors. Our specialists are on hand with advice and guidance on making the right double glazed doors choice for you and your Chelmsford home. Get in touch to see how our team can help you. Here at Oakland Windows, we know that no two properties and no two homeowners in Chelmsford are the same, which is why we supply and install a wide range of double glazed windows. In our range of double glazed windows, you are sure to find the perfect match for your Chelmsford home, whether you prefer uPVC, aluminium or even timber. Every double glazed window we offer is manufactured to the very highest standards, ensuring that you get superb quality and performance. Read on to find out more about our brilliant range of double glazed windows in Chelmsford. Our uPVC windows are one of the most popular options in our double glazed windows range. Many Chelmsford homeowners like the slim profiles, tailored finishes and exceptional all round performance that uPVC windows offer. uPVC windows provide outstanding thermal performance, keeping your home warm on even the coldest of days. Our range of these double glazed windows are constructed with a multi-chambered profile and brush seals to ensure maximum insulation and draught exclusion. Our fantastic uPVC windows are also incredibly secure. Each double glazed window is internally beaded to ensure that the panes of glass cannot be removed from the outside. They are also fitted with reinforced hardware and high security locks to maximise their home protection. When it comes to design, our uPVC windows are a superb choice, as not only are there a selection of styles, but each one can be tailored with natural looking colour finishes and beautiful decorative glazing to give a truly unique look for your Chelmsford home. 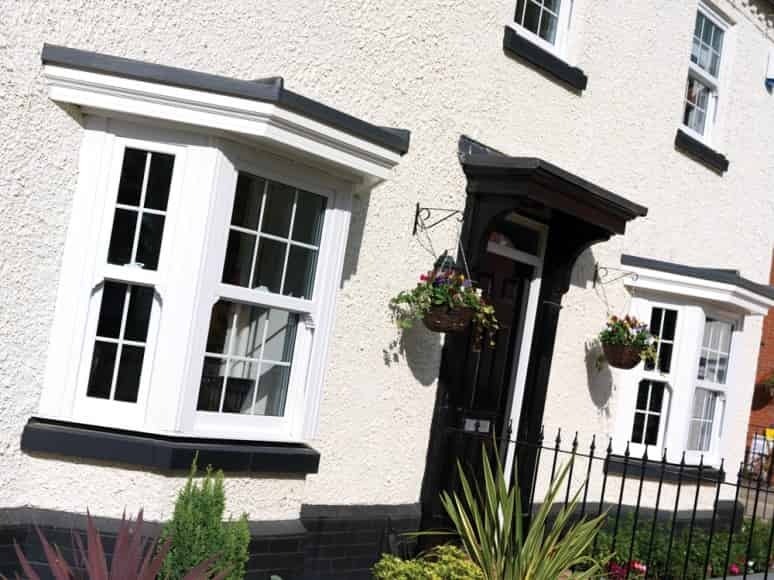 Our uPVC casement windows provide a classical appearance that has been popular with homeowners for hundreds of years. This streamlined double glazed window will enhance both traditional homes and contemporary architecture, making them a versatile choice. For period homes, or newer homes looking for superior character, our uPVC sliding sash windows are ideal. They offer authentic traditional style that has been brought right up to date with all the very latest double glazing innovations. When you are in need of practical double glazed windows that also offers a stylish look for your Chelmsford home, then our uPVC tilt and turn windows are the perfect solution. Designed to be multi-functional, they are a brilliant choice for hard to reach areas in your home. For superbly traditional double glazed windows, our high quality wooden windows are the best option for your Chelmsford home. Each one is constructed at a local joinery to the very highest standards, and these wonderful windows are a cut above older timber designs. Our wooden windows are fantastically insulating, using the inherent thermal performance of the timber combined with the brilliant double glazing, they outstrip old timber windows. 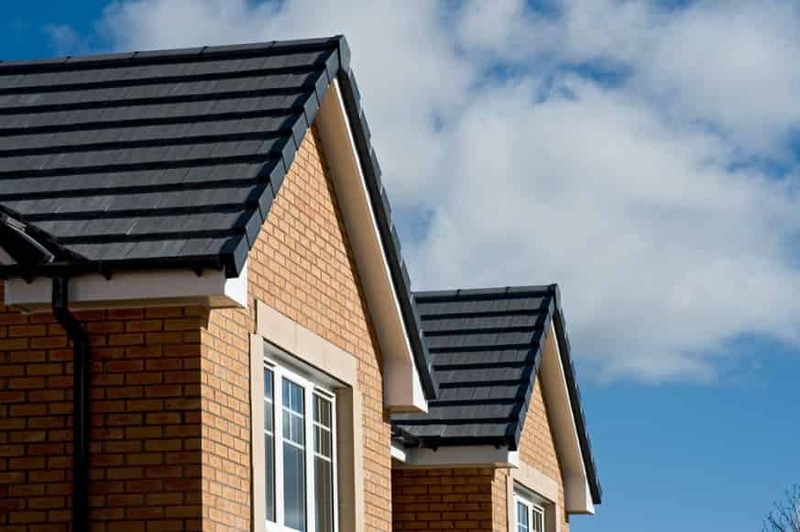 Each one is meticulously finished to ensure maximum durability combined with minimal maintenance requirements. This ensures that there will be no need for constant, time consuming upkeep for your new wooden windows. Our timber windows are also completely tailored to your tastes. You can choose from traditional stains to bring out the natural beauty of the wood, or we also offer a range of RAL colours, enabling you to match your new double glazed windows to your Chelmsford home and surroundings. 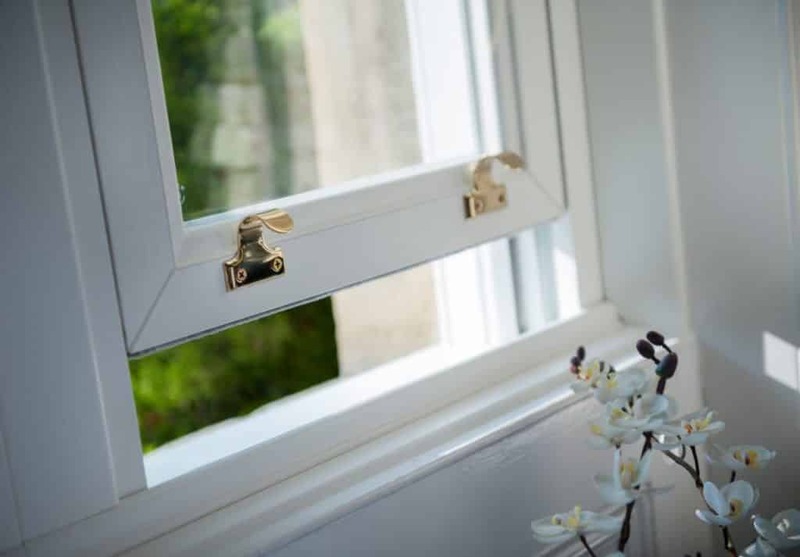 Choosing our timber windows for your double glazing means that you are buying local products from a local supplier, a great feature of these wooden windows. No range of double glazed windows would be complete without the fantastic style and durability of aluminium windows. Our Chelmsford customers love our stylish and fresh aluminium windows which will enhance any home with a modern and sleek appearance. We work with Smart Architectural Aluminium to provide aluminium windows in Chelmsford that achieve the very highest standards. 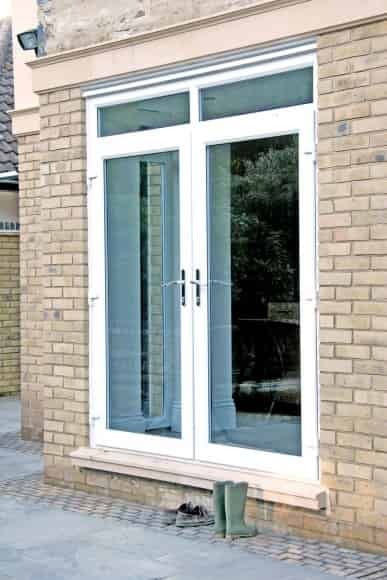 From the high grade aluminium used in their construction to the superior locking systems fitted as standard, these double glazed windows offer Chelmsford customers exceptional security. They are also fantastically versatile, designed to suit any Chelmsford home. The Smart range of aluminium windows is available in a variety of styles, all of which can be finished in one of over 200 colour choices. With our aluminium windows, you are choosing high quality, low maintenance and long lasting double glazed windows for your Chelmsford home. If you would like more information on any of our double glazed windows in Chelmsford, please do get in touch. We have a friendly team of advisors who are happy to answer any questions you may have about our double glazed windows as well as provide you with expert advice and guidance to help you choose the best replacement double glazing for your Chelmsford home. We are even able to provide you with a free, tailored double glazed windows quote either online or from our team.